We all must have heard this name sometime or the other, often associated with wrong reasons. Hitler is perhaps the most feared name from the corridors of contemporary world history. His policies and actions caused a great deal of destruction and death in 20th century Europe. Hitler was the chancellor of Germany during 1933-45; the head of parliamentary government is called the Chancellor in Germany. His greatest ambition was to conquer foreign lands forcefully, and rule the world. His policies towards his European neighbors were main driving force behind the occurrence of World War II. Although, Hitler was of Austrian origin, still he was a staunch believer in superiority of German ethnicity. German race was considered as ‘Master Race’, also referred as the ‘Aryans’. These beliefs led him to the conclusion that Germans are born to rule. And, all the other inferior races must obey them. Considering his modest family background, his success story and rise to power is quite unusual. But, similar to his rise, his fall was also quite unpredictable. Which left the whole world awestruck? Hitler was born on 20th April, 1889, at Braunau-am-inn. It was a small town along Inn River in Austria, bordering Germany. His father was an ordinary customs official in Austria. Hitler could not complete his formal school education, and therefore, had no particular direction in his life. Consequently, during most years of his teenage and youth, he used to roam around the streets of Vienna. He had a relatively troubled childhood. His father, Alois Hitler wanted him to become a customs official like himself, but Adolf was never interested in these monotonous kinds of jobs. This often led to stress in family and relations. Instead, he wanted to become an artist, and was quite good at drawing and painting. This stress in family life caused poor performance in his academics, later on. Afterwards, to realize his dream of becoming an artist, he wanted to get admission in Academy of Arts in Vienna. But, despite trying hard, he got rejected twice. By this time, with incomplete education, he had no dignified job to do. Therefore, to earn a living he started to do some irregular petty jobs like, shoveling the snow, painting small postcards, etc. This money crunch forced him to even live in slums. But, despite all this he was a regular reader of a daily publication. The articles in that publication were particularly about German patriotism, politics and against the Jews. These writings strongly impacted Hitler’s thoughts and imaginations. His strong belief in superiority of German race and patriotism towards this country caused him to volunteer as a soldier in World War I. And, for his exceptional valor, he got highest military honors like, Iron Cross (twice) and Wound Badge. Similar to all other Germans, he also started hating Jews for being the reason behind German defeat in WWI, at the hands of Allied powers (U.S., Russia, Britain, France etc.). Most Germans considered Jews as traitors, who changed sides and caused defeat to Germany. The provisions of Treaty of Versailles of 1919, in the aftermath of WWI imposed heavy penalties and war indemnity on Germany. This also caused widespread resentment in Germans against other European and western powers. These incidents began to fill him with feelings of hatred and revenge particularly against the Jews. And enhanced his interest even more, in contemporary European politics. After the end of World War I in 1919, Hitler joined a political party called German Workers’ Party (DAP). This political group was the predecessor of Nazi Party, which later on took hold of Germany. He was assigned the task of propagation of party ideology through propaganda and publicity. Hitler took his task very seriously and attracted a large number of masses to his rallies with his powerful speeches. Afterwards, he was appointed leader of Nazi party in 1921. In 1923, in a haste decision to capture the power, he led a coup at Beer Hall in Munich, popularly called Beer Hall Putsch. The uprising was crushed by the authorities very easily, and Hitler was sentenced to five years of jail term. Being in jail he wrote his biography, “Mein Kampf” (My Struggle). And he became so famous among the German masses because of his Nazi ideology that, he was released from jail within one year itself. The unsuccessful “coup of the Beer Hall” taught Hitler many valuable lessons of politics. Now he was fully convinced that, if he has to capture the power, it should be by legal means only. But, by this time demand for economical development of the country took centre stage. Therefore, parties with extremist agendas (Nazi Party) became relatively less popular among the masses. In the year 1929, “WALLSTREET CRASH” (severe economic depression in U.S.A. resulting into widespread financial crisis, unemployment etc. ), caused other economies also to crash down. Germany also had to bear the brunt. Stagnation and depression in the economy made people anxious. The country was also suffering from political instability. These crises offered a great comeback chance to the Nazi Party, headed by Hitler. He pacified the masses and promised to lift them out of the situation if they support him. Consequently, in the elections held in 1930, Nazi Party got high number of votes. It became a strong opposition party in the Reichstag; the German Parliament. And, finally in January 1933 Adolf Hitler got appointed as the Chancellor of Germany. 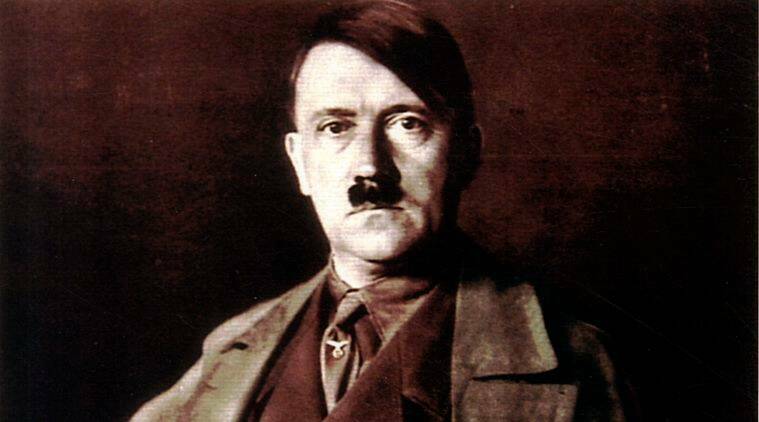 Since, Hitler had to face a lot of rejection in his early life; he became very intolerant of rejection and opposition. So, he went on to remove all his political opponents/rivals within or outside the party. He armed himself with so many authoritative and emergency powers, which he used to clamp down on everyone against Nazi ideology, whether communists, socialists or capitalists. With the “Nuremberg Law of 1935” Hitler deprived all the German Jews of their citizenship and declared them as refugees. They were forced into the ill-managed, suffocated ‘Concentration Camps’ and slaughtered. He massacred millions of Jews during the period of 1933-45. He constituted a special force, SS or Secret Service, assigned specially with the task of elimination of Jews. Besides pursuing his intolerant, anti-Semitic (anti-Jewish) agenda, he began expansion of Germany. He started invading his European neighbors without any provocation. These expansionist tendencies of Hitler were main reason for World War II. Finally, his life and dramatic events associated with it came to an end on 30th April 1945. Hitler committed suicide by shooting himself in his mouth. His biggest political & militaristic mistake was the invasion of USSR. Probably defeat of Germany at the hands of Russians and no further way out forced him to take this extreme step. Considering his modest family background, no one could assess that this simple small town boy will shake the whole world one day. Constant rejection in his early life made him frustrated and revengeful. And, by the time he got power and authority, he forced one and all to bow down before him. So much has been written and published till today on his life. And various efforts have been done to understand his barbarism against humanity, in the name of superior and inferior. But, still we know very little about the exact reasons which hardened him so much. Hitler brought so much notoriety and defame to his country, that even after his death, it became very hard for any European country to trust Germany for a long period of time. It is so hard to believe for even today’s generation that a personality like him, used to exist in history. But, we are lucky enough that we have got more or less a peaceful world to live in, with no extreme ideologies of Nazism. Hitler will always be remembered, whenever contemporary history of the world is discussed, but only as a political and militaristic evil.